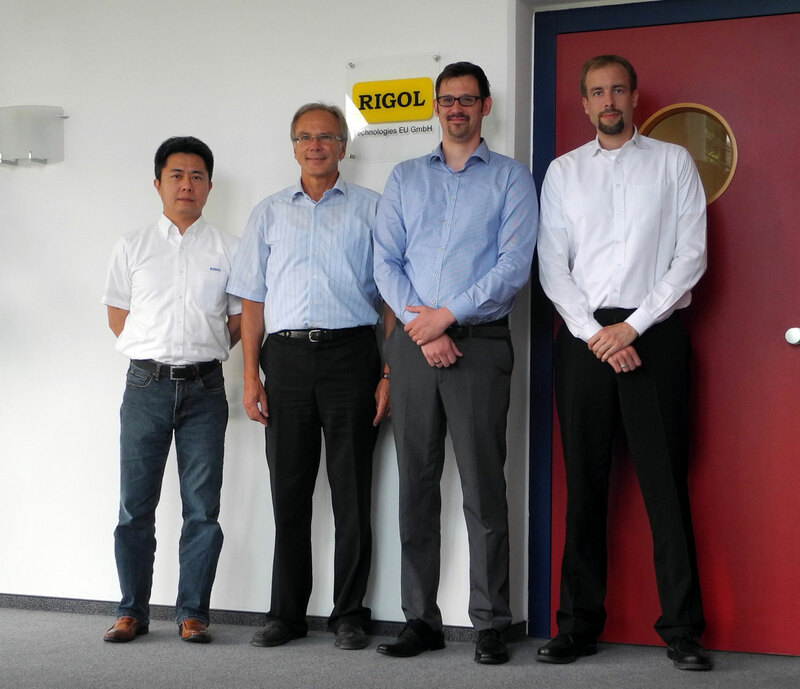 Batronix introduced the new Rigol measuring devices back in 2009 as their first Premium Distributor in Germany, laying the foundation for an outstanding success story rarely matched. The outstanding price-performance ratio and the popular entry level devices helped Rigol to become the biggest global manufacturer of Oscilloscopes by numbers sold. Given the presence of other Rigol distributors in the EU, Batronix managed to defend their position in the market with reasonable pricing and outstanding customer service. The proven and detailed product presentation on the Batronix websites, free shipping within the EU and the worry free money back guarantee helped Batronix to establish their market position. November 2018: Rigol's 20th anniversary! Rigol invited on the first evening of the Electronica fair to celebrate its 20th anniversary. 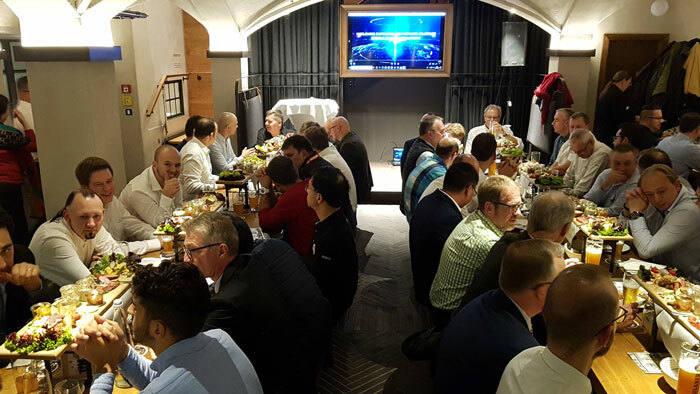 Almost all distributors from Europe and the USA came together and celebrated the great event. 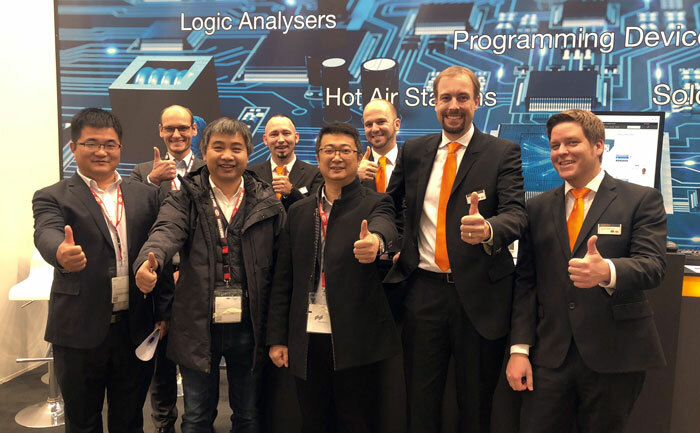 At the latest meeting between Rigol and Batronix the new Rigol vice president of International sales Mark Wu was introduced to the Batronix team. New goals as were discussed as well as how to optimize logistics processes. The expansion of the product portfolio was another topic on the agenda. 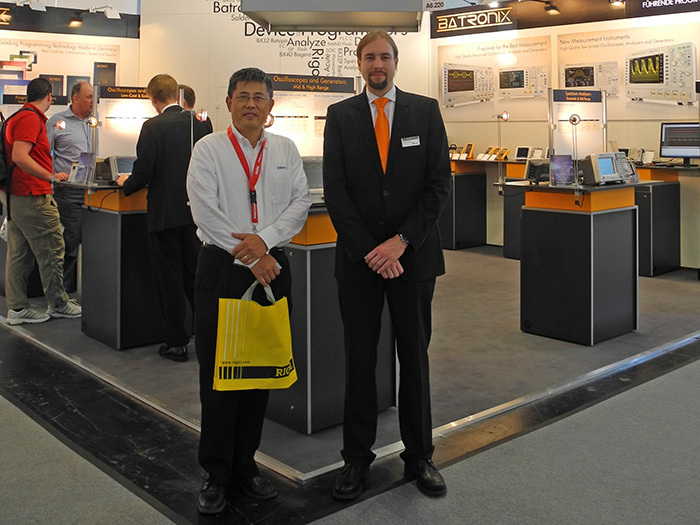 The cooperation between Rigol and Batronix was established in 2009. Since then, the relationship was permanently extended. 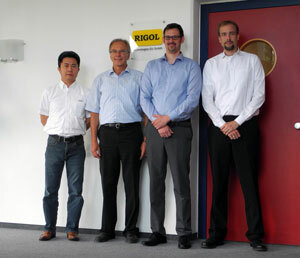 We are looking forward to offer you even more high quality products from Rigol in the future. With more than 22.500 visitors from 58 countries, embedded world is the world’s biggest and most significant embedded-event. Rigol and Batronix attended the event taking the chance to introduce their latest product range. The new Rigol DS1000Z, DS2000A-S and Rigol DS4000 Mixed Signal Oscilloscopes caused particular interest amongst the visitors. 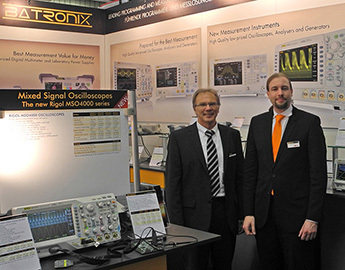 Particular interest was drawn on the new MSO4000 Mixed Signal Oscilloscopes giving Batronix the chance to introduce a prototype at their booth. Batronix also introduced a first series of new DP800-programmable power supplies presenting the outstanding sophisticated functionality of these devices. With more than 72.000 visitors, the 25th electronica, world fair for components, systems and applications for electrical engineering was a huge success. 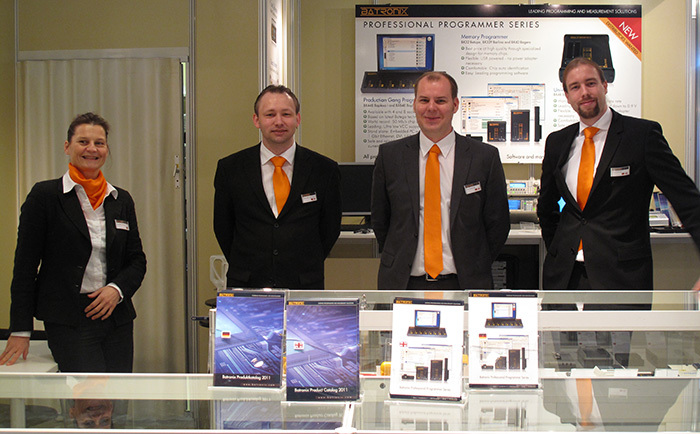 This year, we participated again with our own Batronix-booth having the chance to interact with many visitors. The DS2000 and DS4000 series of the Rigol Oscilloscopes were in particular demand this year, as well as the new DSA815 Spectrum Analyzers. 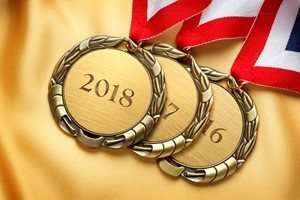 All 3 products clearly stand out from the crowd not only by their technical highlights, but with their excellent cost-performance ratio as well. We would like to take this opportunity to congratulate Mr. Holger Fuerstenberg from Karlsruhe, who has won the top price, a Rigol DS2202 Oscilloscope worth 1.300,-€ in our price draw. We hope the device will be a good and valuable technical enhancement for the work in his engineering office “Embedded”. In order to provide excellent service and product support, in-depth knowledge and extensive skills are required. This is particularly applicable when it comes to complex products, such as Rigol’s Oscilloscopes, Waveform Generators and Spectrum Analyzers. 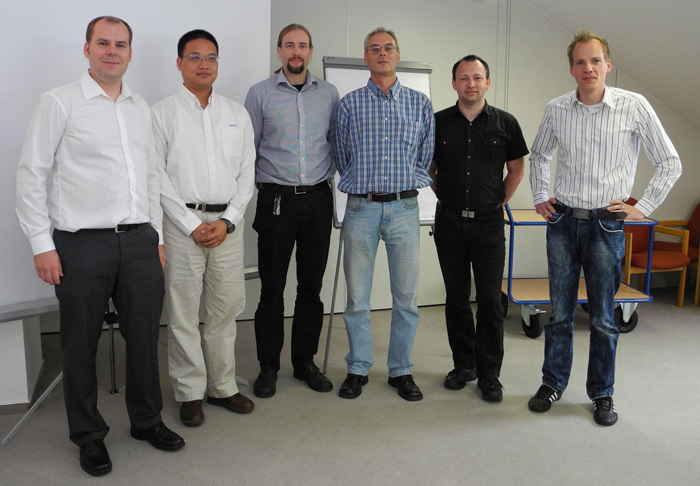 For this purpose, Zhenyu Chen (Rigol Vice President R&D) and Christian Rau (engineer at Rigol Technologies Europe GmbH) came all the way to train the Batronix staff. 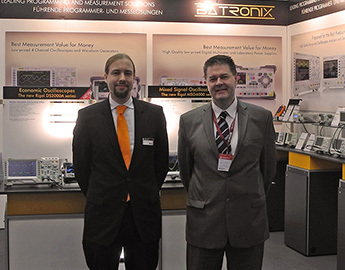 Following a successful start, the former “European Market Manager” James Zhu paid Batronix a visit back in 2009 in order to become acquainted with each other and to deepen their partnership.